It could have gotten really, really ugly for Philadelphia Union. Three goals and a red card by halftime. Instead, the Union put in a respectable second half and showed some good signs for the future. Alright, Union. Saturday you’re playing LA. 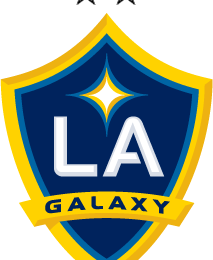 Yes, that LA, the best team in the MLS right now. Yes, the ones who get their goals from league-leading scoremeister Edson Buddle, and their swagger from gracefully aging bendmeister Dave Beckham AND Premier League-worthy Landon Donovan. They’re kinda good. But that’s no reason to approach them humbly. Here’s your pep talk. 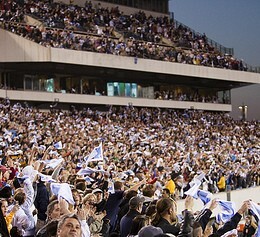 Philadelphia Union, meet the best team in the league. 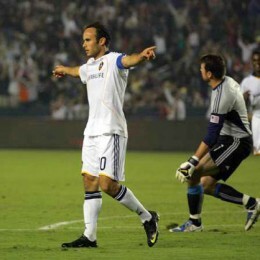 The Los Angeles Galaxy have the league’s best record, best player, top scorer, best coach and possibly the best back line. The Union won’t have leading scorer Sebastien Le Toux. We have the game preview. After a very disappointing first half the Union looked set to charge back in the second with substitutions Moreno, Miglioranzi and Le Toux. And then came the injury to Le Toux, a much bigger loss than the match itself. Sebastien Le Toux was carried off the field on a stretcher shortly after scoring late in Philadelphia Union’s 2-1 loss to the New York Red Bulls tonight. The Union and the Red Bulls go at it again tonight, except this time it’s a U.S. Open Cup qualifier. It won’t be on TV, and the Red Bulls will sit some starters. Here’s a preview. The Union fell to the Red Bulls 2-1, with two near-misses that could have tied the match late in the day.